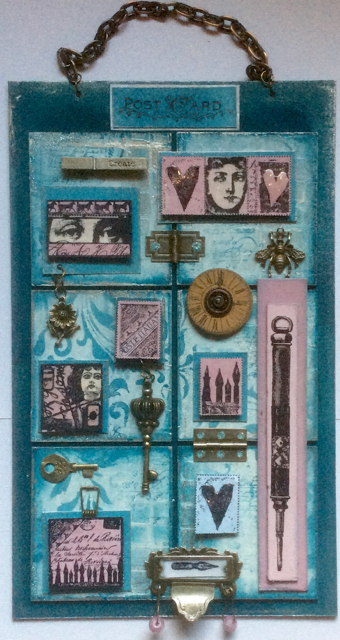 Yesterday I thought I'd give some of our new chipboard oblongs a makeover and morphed them into a wall hanging. 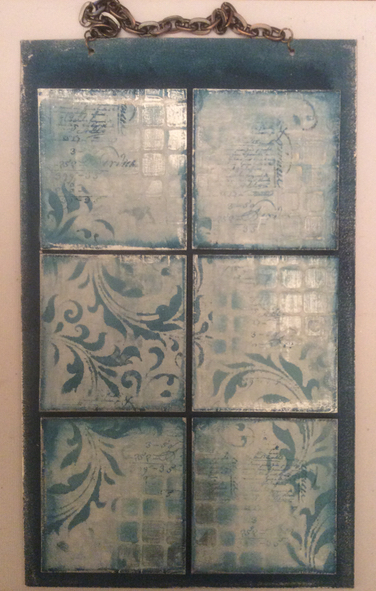 I chose paints from the same colour family for my background to give a tome on tone effect and went with blue/greens, pinks for the raised tiles and silver for the edging and metals. I've added a full supply list at the end of the post. Here's a quick step by step on how it came together if you fancy making one yourself. Tape the tiles together on reverse, cover the front in a base coat of paint, I used Antarctic and Lake Wanaka. 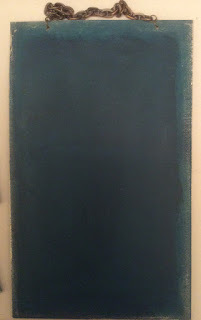 Stencil on detail using a flourish stencil and Inky Pool paint on cut & dry foam. 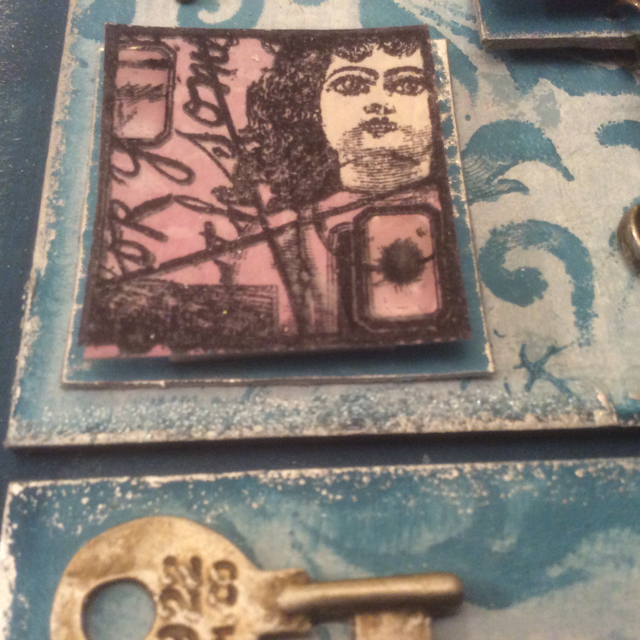 Add some random script to the background and tile detail using the same piece of foam. 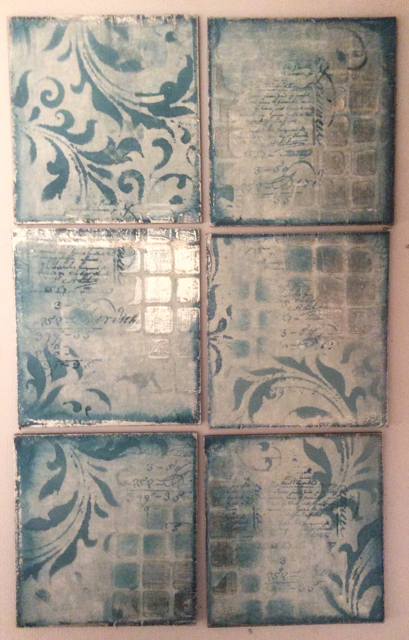 Reposition the mask over the same stencilled area and add clear texture paste to add texture to your tiles. Once dry dust lightly with silver treasure gold. Separate tiles, edge each one in Inky Pool paint and silver treasure gold. Cut a piece of chipboard big enough to place the tiles on. 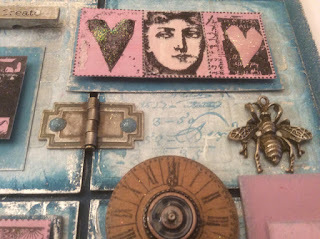 Allow enough length to add a hanger at the top and width to space the tiles, I used some large chain I found when rummaging around my crafty stash. Paint base in Inky Pool and edge in silver as before. Add chain and mount tiles spacing them evenly on the base. I left a couple of books on the top while the glue dried to keep everything flat. 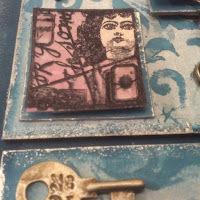 Cover a piece of white card with Plum paint and using black archival ink stamp out chosen images. 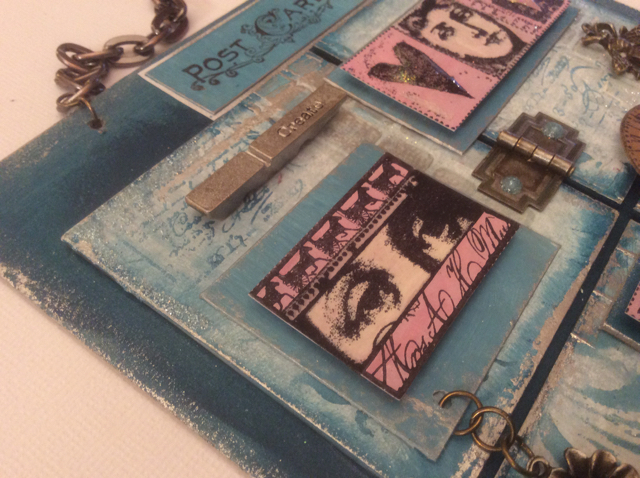 I used a Lynne Perella stamp plate for my images. If you chose faces its a good idea to stamp the same image onto tissue paper, paint in the face on reverse with nougat or blush paint, dry, cut out and stick over the stamped image on coloured card to make the faces pop. Cut mounts for your pictures to sit on, paint in a co ordinating colour and edge with silver. 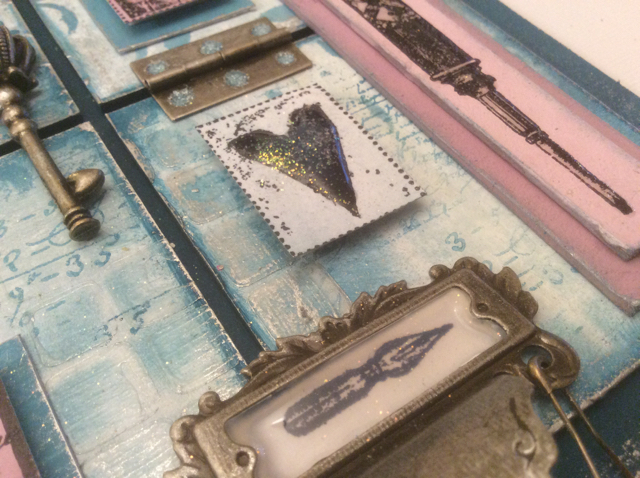 Chose a mix of metal embellishments, arrange images and metals on top of your tiles until you're happy with the look you've created and then stick in place. Leave to dry before hanging up. 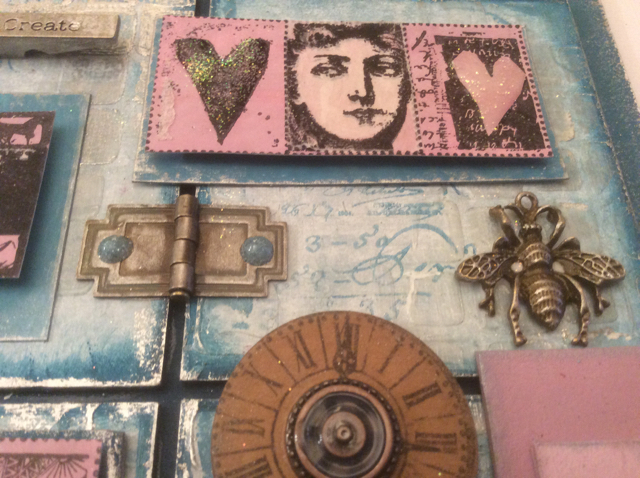 I really enjoyed making this project and hope I've inspired you to be creative too - it's always fun to make something different :-) Chipboard tiles and sheets are available here. Wishing you and yours a lovely Easter day. Hi Clare, This is lovely, thank you for the step by step. I haven't tried this technique before but would love to give it a try. Hello Clare, this is just lovely. I never imagine it would turn out this good! Happy Easter everyone!